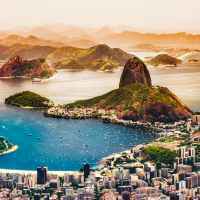 Rio de Janeiro is a huge seaside city in Brazil, famous for its Copacabana and Ipanema beaches, 38m Christ the Redeemer statue atop Mount Corcovado and for Sugarloaf Mountain, a granite peak with cable cars to its summit. The city is also known for its sprawling favelas (shanty towns) that host the best samba school of the city. Rio explodes with energy and color during the five days before Ash Wednesday (from Saturday, the 2nd of March 2019), when millions take to the streets for the world's biggest carnival. The party starts on the Friday, when the Mayor hands over the keys of the city to a man crowned as King Momo, a mythical jester who acts as the head of the festivities. During those days, the best samba school in the city compete to get the first prize. Brazil is well known for the colors, the music and the restless nights all around the clubs. Nightlife in Copacabana and Ipanema are famous worldwide. Make your visit in Rio de Janeiro just the way you like. 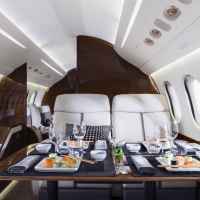 Get a luxury private jet to take you there, relaxing while drinking a cocktail or a glass of ice cold champagne, enjoying the flight in the luxury of the best aircrafts in the world, scheduled at your convenient time, either for a few days or longer. Then, only 20 km of private limo separates you from the city center and Copacabana. Ready and fresh to get the best out of your visit to Rio.